Mr. Emanuel has served as one of our directors since November 2004. At present, he is a member of The Endeavor Agency LLC, a California-based talent agency which he founded in 1995. Mr. Emanuel is active in P.S. Arts, an entertainment industry sponsored organization working to bring arts education to public schools in Southern California and served as co-chair of the 2002 Earth to LA biennial fund-raising event for the Natural Resources Defense Council. Mr. Emanuel is a director of Live Nation, Inc., a promoter of live music events and entertainment venue management company. As the youngest of three brothers, Emanuel was born in Chicago, Illinois to a pediatrician father and civil rights activist mother. Having attended Maccalester College in St.Paul, Minnesota, Emanuel moved to Los Angeles upon graduation to begin his career in the entertainment industry as an agent at CAA in 1987. In 1990, Emanuel left CAA to join Intertalent as a partner. After a two year tenure at Intertalent, Emanuel joined ICM Partners as a Senior Agent, representing high-profile clients until 1995. 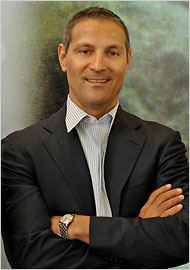 Upon leaving ICM, Emanuel founded his own company, Endeavor Agency. In 2009, Emanuel and Endeavor Co -CEO Patrick Whitesell (now co-CEO of WME | IMG) orchestrated a merger with The William Morris Agency, effectively forming WME. In May of 2014, WME acquired IMG through a $2.4 billion cash purchase, resulting in the formation of WME-IMG.